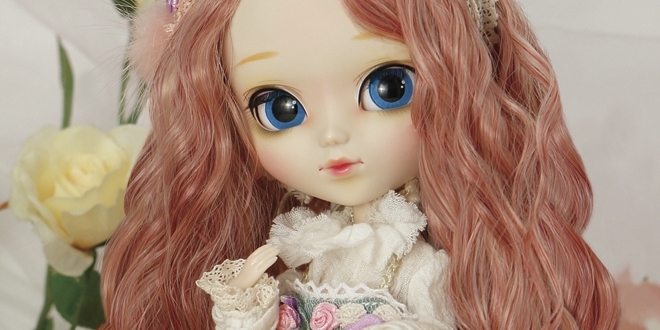 There was a momentary drought in the pullip community when it came to original doll designs. 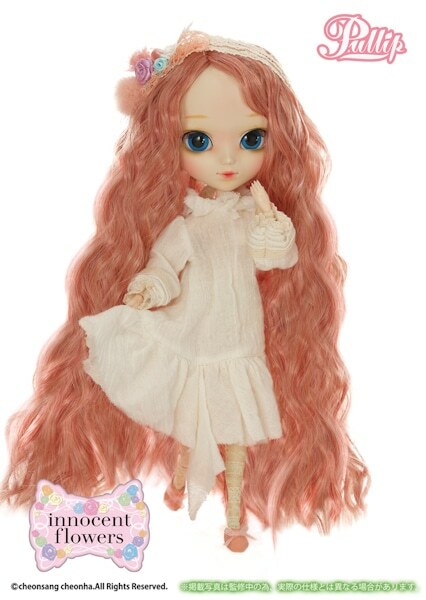 Yesterday AGA listened to the pleas of their fans and unveiled the 3rd original Pullip doll this year. 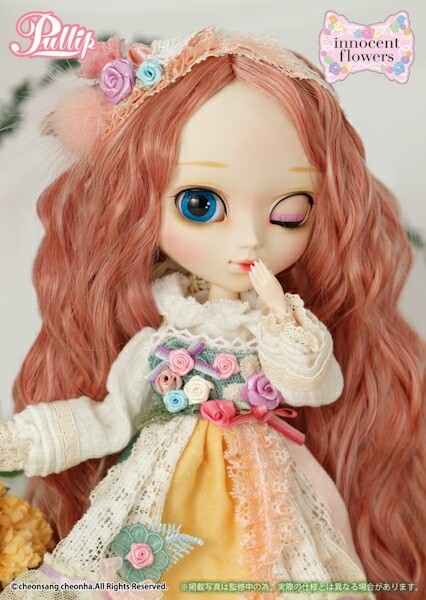 Part of the series titled "Innocent Flowers" comes the free spirited doll named Pullip Eve Sweet. Eve Sweet is scheduled to come out in September 2015. 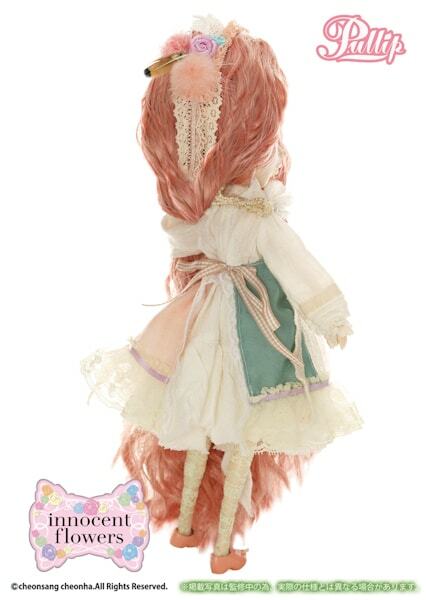 According to AGA this girl was the fan favorite at Doll Show 43. Her outfit is waaaaay too busy. Sometimes less really is more. I'm happy to see a new line from AGA, though I wonder if they will continue the Alice In Steampunk World series, since Dal hasn't been released yet. 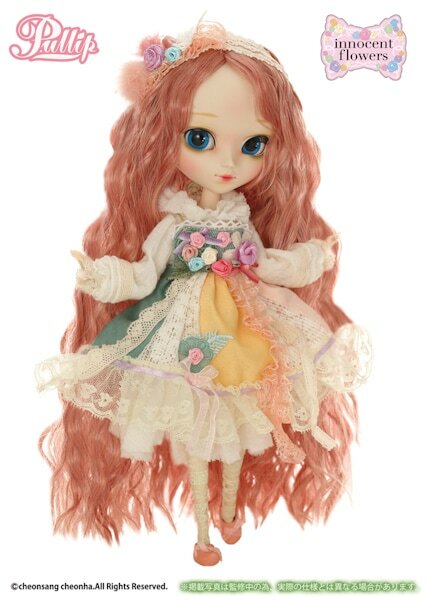 Are you head over heels in love with the delightful Pullip Eve Sweet? Leave a comment below! I have been really unimpressed with pullip this year. All the releases seem dull and not worth their increasing price. Sadly, this doll is no different. I like the color of her wig, but not the wig iself. Her face up is simple, but not to my liking. The only feature I like are her lips. The outfit is busy, but I think it’s a nice balance from the simplicity of her face up. Overall.. there’s no doubt I won’t get this release. It has been a really odd couple of years (2012-2015). I miss the days of 2011 when dolls had something unique about them and collectors were excited for each doll’s release. The dolls now are cute but there aren’t speaking to me like they used to. 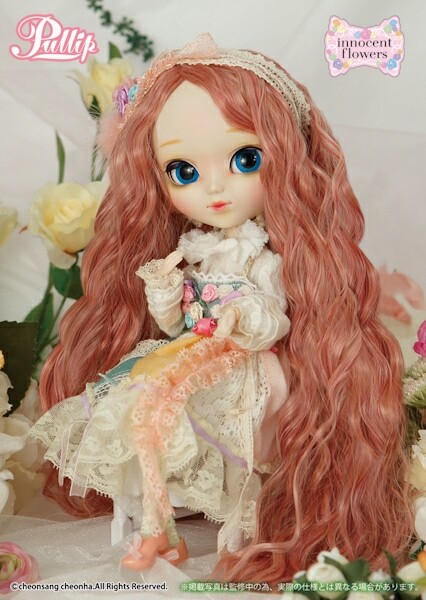 You are correct when you say the price of Pullip has risen sufficiently, yet unfortunately the quality has declined and the accessories have decreased which isn’t fair to long time collectors. I reaaaaaally keep hoping that this decline in creativity will just end all ready and a new surge of artistic inspiration will flourish like it did with Hera & the Pullip Rococo Peacock Series. You’re not kidding, it really has been a long time since we’ve seen an original release. Seeing an original doll is like a breath of fresh air when compared to the endless parade of Sailor Moon dolls.